Wisconsin is home to many places considered sacred and powerful by the indigenous people. When British author Neil Gaiman came to live in the US, he felt such an affinity for the state that he decided to make his new home in rural Wisconsin. And that was where he stumbled on a tourist trap so much larger than life, so outrageous, and so bizarre that he had to include it in his novel, American Gods… but he had to tone it down a bit because he was afraid no one would believe it. 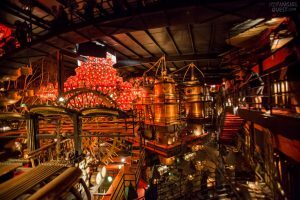 When the new season of the television adaptation of American Gods premiered on Starz this month, I was reminded of the incredibly strange roadside attraction that was chosen as the meeting place of the Old Gods – the weird and whimsical place known as The House on the Rock, tucked away in rural Wisconsin. 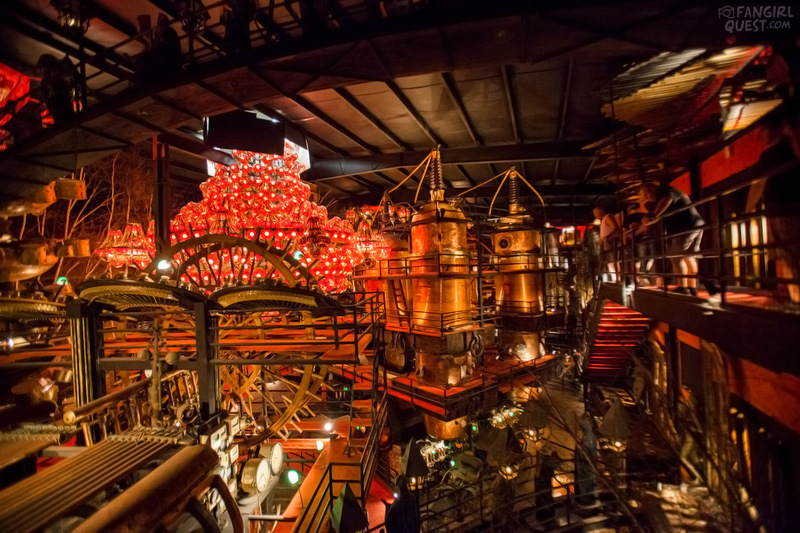 The House on the Rock is an ode to eccentricity and obsession, a twisting labyrinth of rooms filled with elaborate displays ranging from intricate reproductions of the Crown Jewels to a 200-foot-tall battle between a whale and a giant octopus. 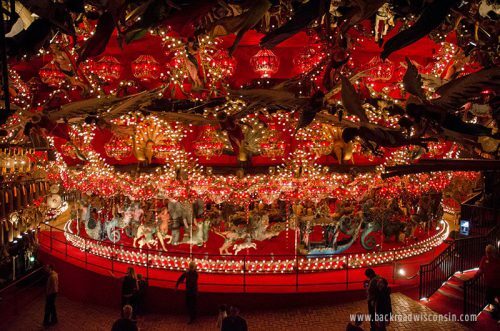 It also boasts what is touted as the world’s largest indoor carousel (shown above) – the glittering behemoth in the belly of the House on the Rock, comprised of 20,000 lights and a menagerie of 269 unique, handcrafted animals. It is surrounded floor to ceiling by vintage carousel horses, angels and even the four horsemen of the apocalypse. Check out the entire article at Cult of Weird – and start making your travel plans! 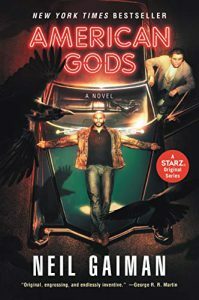 Also… click here to read more about the making of American Gods on location at the House on the Rock.